A day later than planned because of technical issues (huge apologies to Simon and Scholastic!) I'm thrilled to have Noah Can't Even author Simon James Green talking about funny YA! I must have been about thirteen. I wasn’t particularly bullied at school, but like my protagonist, Noah, I was a long way from being one of the popular kids. It’s very unfair. At that age, some kids are somehow built like proverbial brick, er… lavatory accommodation, securing their popularity by virtue of the fact they could snap your neck just by looking at you. Others, even though they’re going through the hell that is puberty, somehow manage to be good looking, totally avoiding the spots, gangly limbs and terrible hair – and everyone loves them. I needed an angle. I needed something that would make people like me. Just a little bit. I found it in making people laugh. I distinctly remember the drama lesson where it happened – a funny improvisation involving my portrayal of a rather camp vicar, and afterwards, basking in the warm glow of everyone coming up to me, telling me how funny it was, and slapping me on the back like I was somehow cool. While it may have started as more of a defense mechanism, I soon found that I enjoyed making people laugh not because it meant there was less chance of getting battered, but because it felt good to make people happy. Entertaining people is fun. It’s a privilege being able to create material that people want to turn to when they want to relax, kick back, and have a good time. Laughter takes us away from whatever else is happening in our lives, and the World in general. It’s escapism. It’s the best medicine. That’s one of the big reasons I love writing funny stuff. So when I was writing my debut YA novel, writing something funny was my natural angle. 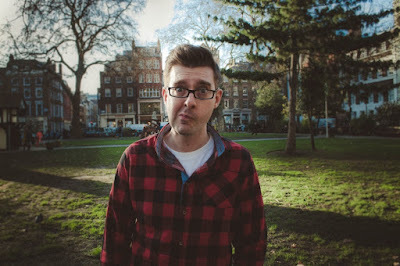 I also found that writing comedy, and then twisting something more heartfelt and raw in there, can be really effective – funny and sad by turns, just like life is. 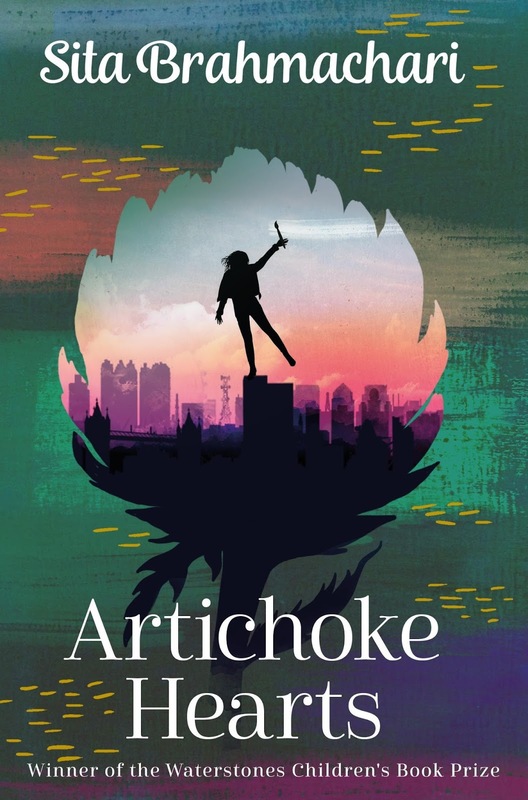 But I was conscious of something else too: there were some great funny YA books out there, but it didn’t feel like there was exactly a glut of funny LGBTQ+ YA. Now, don’t get me wrong – there are certainly some, and some excellent ones at that. But I felt there should be more. I really didn’t want to write a sad story about a boy discovering his sexuality. I wanted to show that coming out can be a joyful thing; that there can be lots of positives and lots of laughs and lots of fun. And that’s not to diminish the very real struggles that a lot of gay teens face – Noah certainly encounters his fair share of prejudice, heartache and turmoil along the way – but the ultimate message and ending, it’s uplifting. I felt that was important. Life can be good. You deserve happiness. Whilst that was my starting point, I soon found that actually, I wanted this to be the message I sent to everyone, not just gay teens. My god, the world can be a grim place – who wouldn’t want to seek refuge in the pages of a good book right now? With everything that was going on, I really felt that what people needed was to laugh, have a good time, a giggle. I hope Noah Can’t Even let’s some of us do just that. The Fallen Children by David Owen is really high on my TBR pile, and I loved last week's awesome launch! It's always great to hear from David so I was thrilled to get this fantastic piece to share with you all. The Fallen Children was the first book I ever had to put in the metaphorical drawer for a year after writing progress had ground to a halt. I had the core concept – John Wyndham’s The Midwich Cuckoos transported to a modern day council block – but the approach I had taken to writing it simply wasn’t working. This was because I had set out to write the book as something studiously ‘commercial’, which in my mind meant action-focused, heavy on shock and excitement and light on exploration of social or political issues. Around this time I was reading Michael Grant’s Gone series which, though hardly apolitical, certainly doubles-down on excitement and gratuity, sometimes at the expense of reflection. I thought The Fallen Children could follow suit. I’d developed a misguided notion of what makes commercial fiction, and this meant dumbing my idea down. The earliest outlines had evil alien children running amok, contrived twists and shoehorned explosions, while doggedly ignoring the thematic questions and connotations inherent in the concept. Partly I wanted to write something more ‘fun’ after my debut Panther, a deeply personal book I was still finishing up at the time. And partly I had convinced myself that I needed to write this way to have a book people would actually want to buy. When I returned to the manuscript, I realised that it was impossible – and irresponsible – to write about young women being impregnated by unseen powers without engaging with the emotional trauma this violation would cause. It couldn’t simply be a device to deliver evil aliens into the story. Almost immediately, characters emerged that felt real and compelling, and the story soon evolved into something much more interesting, because everything I had tried to ignore was the story. The book became interesting once it had something to say. That’s how The Fallen Children became a story not just about (possibly) alien children with superpowers, but about how young people are being let down by society, how a generation facing immense hardships outside of their control are nevertheless blamed and vilified for their perceived failings, and how they will have to fight to make a better future for themselves. There’s still plenty of excitement in The Fallen Children, but it serves a purpose beyond cheap thrills. This is something YA fiction does so well, and why many people fail to see YA’s value. Outside commentators see YA’s penchant for breathless, dramatic, often fantastical stories and dismiss it as vacuous, when in fact the best YA is using these to tackle head-on the most urgent issues facing young people. To pluck some random examples: Only Ever Yours by Louise O’Neill and The Big Lie by Julie Mayhew are rich, provocative dystopian stories about feminist issues and more. Malorie Blackman’s Noughts & Crosses series has all the drama and romance we associate with YA, while also offering nuanced examination of race relations. The Call by Peadar O Guilin is relentlessly exciting (and terrifying) while also being about disability. 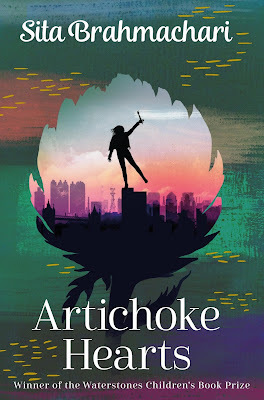 Grasshopper Jungle by Andrew Smith is as much about sexuality and identity as it is about a giant grasshopper apocalypse. A young adult readership demands excitement, of course, whether it comes from edge-of-the-seat action, intense romance, or outrageous humour. But it should be a vehicle for exploration and reflection, never an excuse to simplify ideas for a young audience – to talk down to them. The best YA fiction trusts that its reader is ready to engage with difficult topics, because they’re already living them. By acknowledging this, by trying to help young people better understand the most serious issues facing them and the world, we hope to empower them – like the characters in The Fallen Children – to fight for a better future. 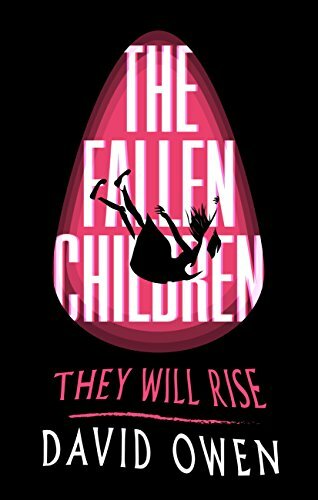 The Fallen Children is published by Atom and is available now in all good bookshops. Rachel Vale of Macmillan Children's Books is one of my VERY favourite of a whole host of amazing cover designers working on YA and MG novels! 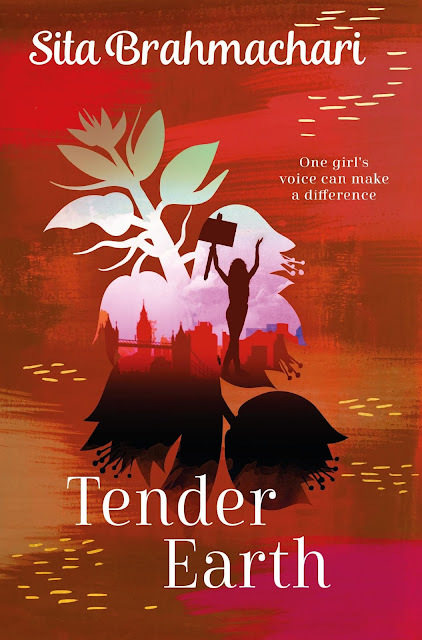 When I found out that awesome author Sita Brahmachari had interviewed her to celebrate Rachel's glorious cover for Sita's new novel Tender Earth, I was excited to read it - and even more thrilled to be asked to share it with my readers on my blog! This is such a fascinating piece; I hope you all enjoy as much as I did! With Sanchita Basu De Sarkar at Children’s Book Shop Muswell Hill sharing the new covers. An initial brief comes from the Editorial department; it will usually cover the basic information – title, author, the best market for the book, etc. – followed by a brief synopsis (character descriptions if relevant) and some visual references – other successful book covers in the same genre, pictures or movies posters, for example. From there I will usually go away and read the book (or at least a good portion of it), to get a feel for the writing. As a designer I think we pick up on visual things in a way that not everyone else does – for instance, a very small detail in a book that isn’t hugely significant in terms of the overall story. I start to jot down thoughts, ideas, sentences from the book that I think may be useful. I’ll also go on to sites like Pinterest for inspiration – collecting lots of visual references like typography, colour, texture, images . . . you name it! With lots of references gathered, I’ll start to think about how they might come together to create a suitable cover solution – and if this is something I will generate entirely in-house or whether it would benefit from the help of a sympathetic illustrator/designer. In this case, and with three covers to generate, I invested some help to bring these covers to life from the very talented Helen Crawford-White. I’ve worked with her before and I knew she would be a great fit for these. We worked together on some initial thoughts and ideas, until I was happy we were at a point to present to the rest of the in-house team. Assuming I present something that inspires everyone, there will then be a process of specific feedback and tweaking as a final, approved version of the cover takes shape. Who is involved in the process, e.g. author, editor, marketing, etc.? It’s an incredibly collaborative process. At times there can be a lot of voices, but all are worth listening to. Key people/teams involved in the process are Editorial, the Publisher, Sales, Marketing & Publicity, and of course the author. When you first started working on the covers for Artichoke Hearts and Jasmine Skies, what was the spirit you wanted to capture? The vibrancy of the landscapes and the spirit of the characters. I find the locations evocative, and wanted to capture that with colour and energy. In Jasmine Skies there is a family tree. It also appears in Tender Earth as a friend and family tree. You commissioned an artist to create vignettes in these books. How do these images impact on the reader's experience? The interior illustrations for Jasmine Skies were from the very lovely Kate Forrester. In the case of the family tree in particular, this provides a very quick and accessible visual reference to something that can be quite complicated to understand when just reading about it. It acts as a shorthand that can be referred to over and over again as you discover the family in the book. With the publication of Tender Earth – a story that returns to the Levenson family – what was the purpose of re-jacketing the previous two books? The first of the two original books was published back in 2011. Design-wise, trends are constantly moving and progressing. At the time the book covers really stood out; they felt very fresh and new – combining photography and illustration. But in the six years since then, though more books followed along similar lines, designs have moved on. 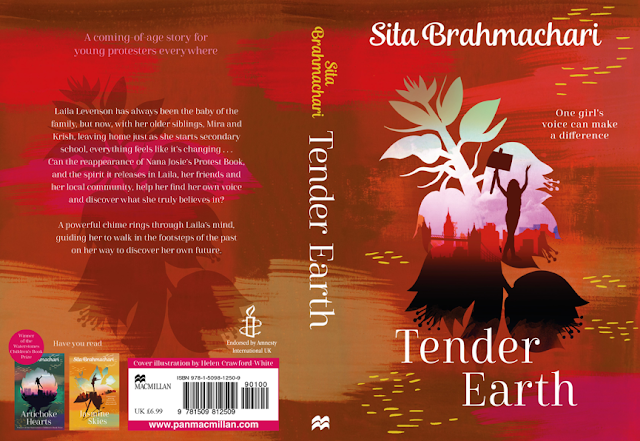 We felt this new book gave us the perfect opportunity to re-energize and reinvigorate the two older covers, thereby showcasing the new Tender Earth while at the same time reminding readers with the new look of the links to Artichoke Hearts and Jasmine Skies. What was the cover concept behind the new jackets? The concept or key ideas behind these new jackets were vibrancy and energy. I wanted to keep the strong sense of location and character, but in a more graphic/illustrative way, where colour and natural motifs played a big part in the identity of each book. When you read Tender Earth, what aspects of the book struck you as important to bring out in the cover? 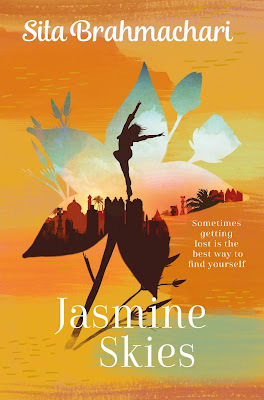 As this returns to the world of Artichoke Hearts and Jasmine Skies, I really wanted to bring the character of Laila, the youngest member of the Levenson family, to life. I wanted the cover to represent her voice, strength and independence. Were there any aspects of the book(s) that you especially drew on when designing? The locations and associated culture were a big part of designing these covers – I drew a lot of inspiration from the jewel-like colour combinations in particular. It proved an important tool in ensuring that these sat together as well as standing apart confidently on their own. Can you offer a list of words/phrases/qualities that you would like readers to take from the design of these three books, and Tender Earth in particular? I’d like readers to be inspired by these three books and their covers. Inspired to read them in the first instance and be inspired to be confident in who they are on their own journeys. Thank you Rachel for all your beautiful covers. They say ‘don’t judge a book by its cover’ but I think lots of people do and I feel very lucky to have had you designing mine. Tender Earth - ‘A coming of age story for young protestors everywhere’ is edited by Venetia Gosling. Publication date June 1st 2017. My links recap continues, after another slight break. Alana Massey’s post for MEL magazine on how men could learnsomething from One Direction is one of the best pieces of writing about music I’ve ever read. Nineworlds announced some of the titles for programme items at the 2017 convention! There are some fascinating looking things coming up; I’m super-excited for it – it’s always one of my favourite events of the year. Sam Missingham’s new site Lounge Books is really fabulous, and I look forward to using it to discover some awesome new books. With lots of people having different views on ebooks and physical books (I’m a huge fan of both) I really appreciated Erin Kelly sharing this great letter in The Guardian from Ian Macrae about the benefits of ebooks and text-to-speech for blind readers. I’m thrilled that Rife: Twenty Stories from Britain’s Youth is finally funded! However there’s still the chance to pledge and get some great rewards. I don’t normally include my own posts in these twenty but I REALLY wanted to share this amazing Eleanor Wood interview again! Speaking of interviews, Olivia Chanel’s Saturday NightAuthor Fever – asking about 70s music and diverse books is such a fabulous idea! And it’s great to see one of my favourite authors, Dahlia Adler, starting it off. There’s a stunning piece by Sunny Singh here about the Jhalak Prize being forced to justify the prize’s existence to the EHRC after a complaint by Philip Davies MP. Ruby Tandoh released her mental health zine Do What You Want, just £1.99 as an ebook. I’ve just started, and it’s awesome – don’t miss it! There’s a really important piece on The Atlantic site by Sophie Gilbert looking at the ways in which popular TV series 13 Reasons Why was problematic in how it tackled suicide. Fabulous teen blogger Amber Kirk-Ford wrote a great post about the recent Penguin Random House Children’s Highlights evening, which I was lucky enough to attend. Jessica Plummer’s Book Riot piece on why many fans aren’t interested in being ‘patient’ with Marvel over the HYDRA Captain America stuff was superb. Another great YA Open Mic on the B & N site – I especially loved Laura Silverman, Elizabeth Wein and Jennifer Yu’s pieces. Magic Mike Live sounds incredible! I loved Lindsey Kelk’s piece on it for Glamour. Autostraddle have an extract from Honor Girl by Maggie Thrash, which looks superb – I can’t wait to read this book! I love this interview with Unstoppable Wasp writer Jeremy Whitley and scientist Tamara Robertson! My awesome friend Louie Stowell spoke about technology and reading on Book Machine! I loved the Gerry Duggan AMA on the Marvel Reddit! Finally, a really thought-provoking post by Simon Smith on making careful judgments about class books.